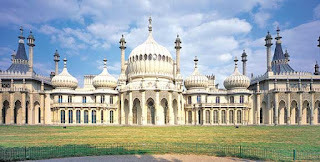 Recent events in Brighton and Hove, where the Green party is running a minority administration on the local council, and decided to vote in favour of a Labour and Conservative amendment to their budget, abandoning the proposed rise in Council Tax of 3.5% for this year, raises the question, what would the Green party in Haringey do in similar circumstances? We appreciate the difficulties faced by Brighton and Hove Green Councillors due to Labour and Conservatives combining to defeat the proposed Council tax rise. We are disappointed that the Green Councillors felt the need to vote for the amendment because it is important that the Green Party retains its reputation for sticking to its principles. Haringey Green Party therefore wants to make clear our position on cuts to local services, imposed on local authorities by the ConDem central government. 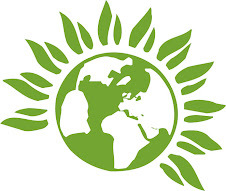 Should the Green Party obtain a position of power in Haringey, it would seek to minimise the impact of central government grant reduction by raising Council Tax locally. We will also consider creative solutions for Haringey's budget to keep costs to a minimum and maintain services. If we were unable to get these policies through Haringey Council we are clear that we would not participate in any local administration. Set up a community trust to support services for vulnerable people and children which are at risk, and ask residents to contribute what they can. Establish a local lottery to support vulnerable people’s services and local schools – the Isle of Wight (see here) did this year’s ago and made a lot of money to support local jobs. Host a national anti-cuts conference to explore alternatives to austerity, inviting as many local council’s and groups as possible. Explore every avenue possible for a radical party to alleviate the damage done by the cuts and raise revenue to fund services. This could include issuing local bonds and setting up a local currency. Consider holding a referendum for a greater than 3.5% (perhaps 3.6%) council tax rise and explain to the people of Haringey that this is necessary because of the threat to local services and jobs. Re "We are disappointed that the Green Councillors felt the need to vote for the amendment"
The green cllrs didn't vote for any amendment, just the budget. Yes, that is accurate I suppose, but it's splitting hairs a bit Jim.